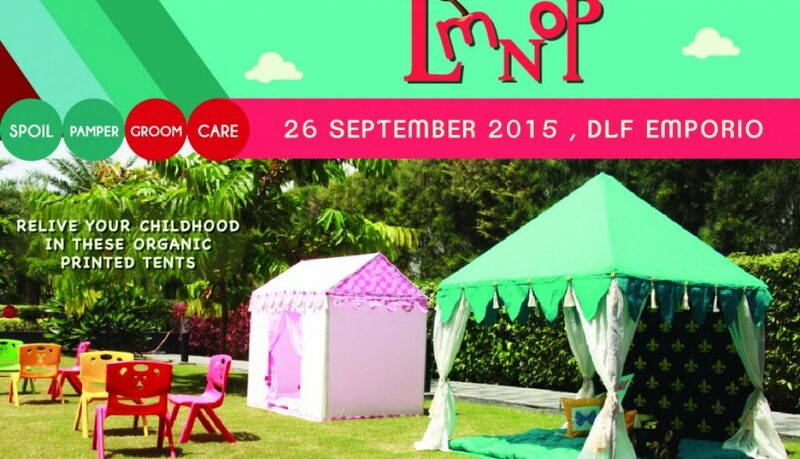 Tent Mahal is proud to participate in a One Day Showcase & Sale of our Kids Tents range @ DLF Emporio. 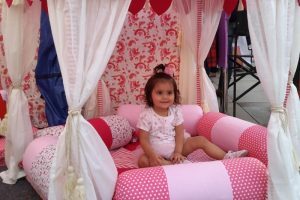 All kids loved to sit & Play and be photographed in our kids tents, we have a few pictures of our cute little guests & sweet posers. 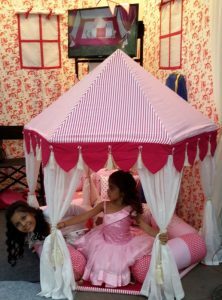 We loved to see their admiring & awestruck eyes, as they saw our tent from our Princess collection on display. Our Stall was A1 and it lived upto its name !!! 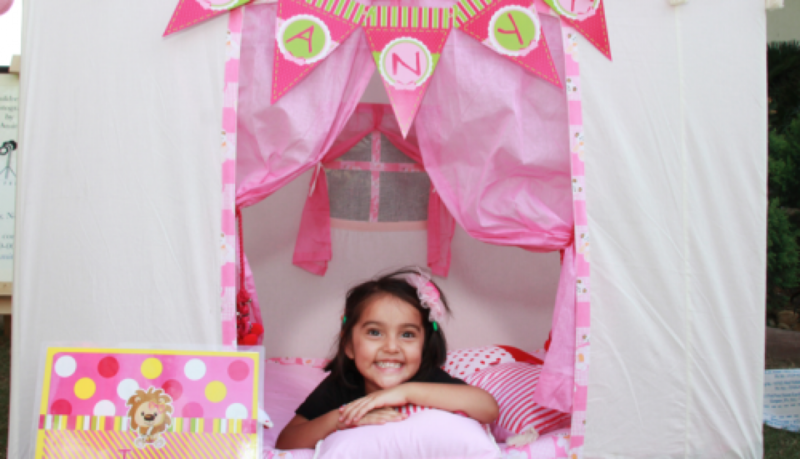 Here are some of our Best seller kids tents! Keep your kids away from the electronic gadgets and gift them the joy to play in a play tent house of their own. Our tents are very easy to set up, the kids love to set up their tents on their own by looking at the erection manual that accompanies all our Kids Tents. 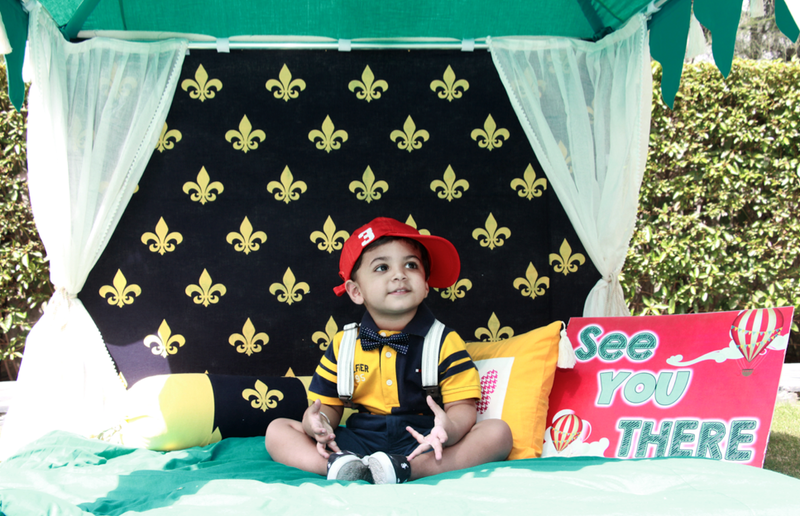 Our little guests enjoyed posing in the tent and did not wish to leave at all ! 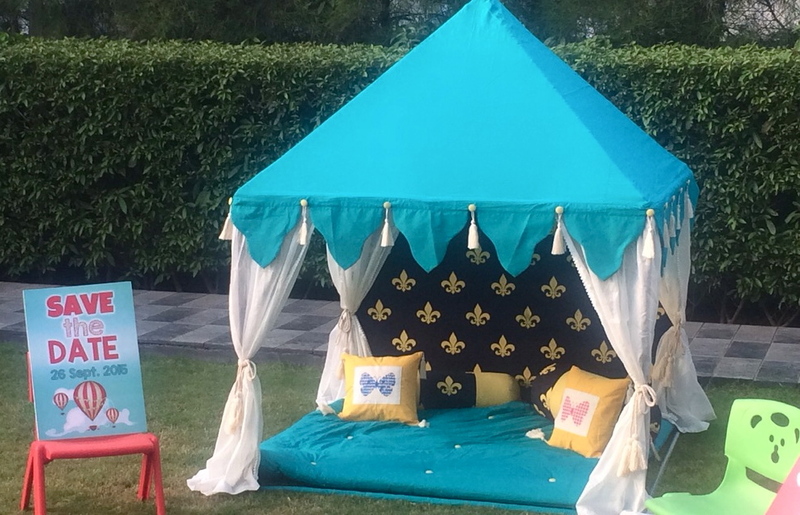 Our frame tents are very stable structures and the girls love to play in our tents, the Kids Teepee Tents are a new addition to our on going collection to kids play houses. 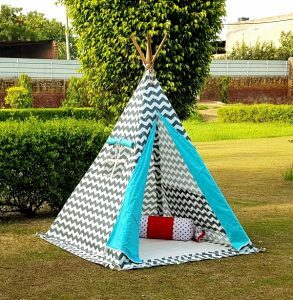 The Kids Teepee tents are pre assembled and you just need to open the pack and place it on the ground, it is as easy as 1 2 3, so your kids are gonna love it absolutely ! Remember those days when you would want to eat, sleep, play and stay in your doll house all day! 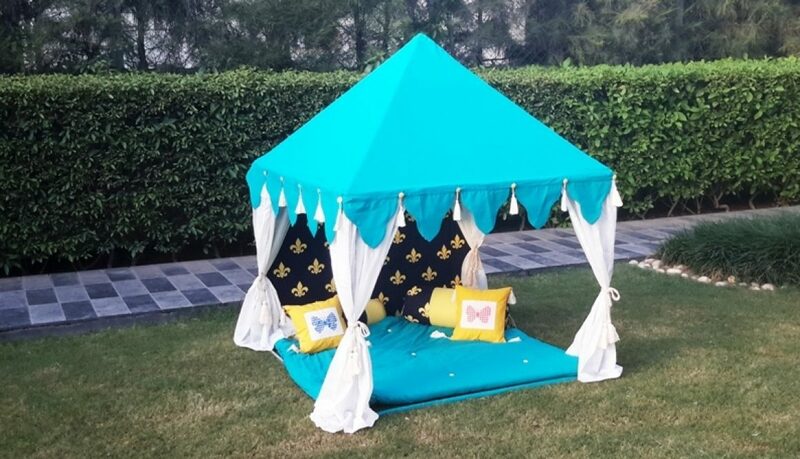 Relive you childhood memories in these Organic, Playful Tents by Indian tents. We make very stable & safe frames for your Children’s Tent. Your kid will love to build it like building blocks by looking at the step by step pictures on our Erection manual. 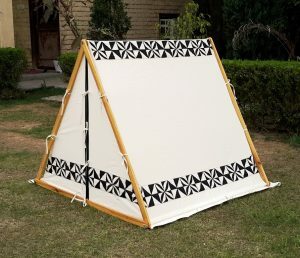 The tent cover is breathable & environment friendly cotton. You kid is gonna love you soooo much for buying this ! 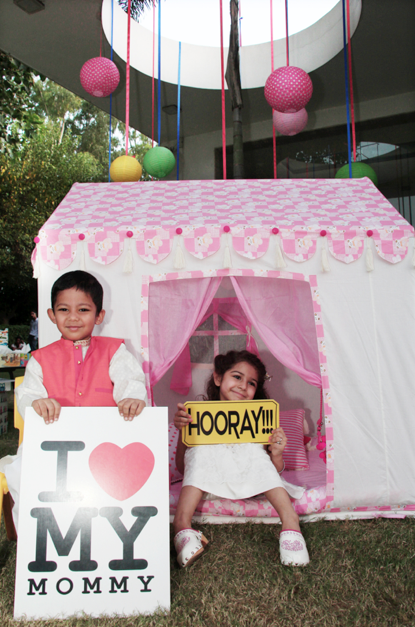 Our pretty little models did not wish to come out of the Play Tents and smiled and posed all through the photo shoot. We enjoy the whole day clicking them and pampering them. Sending Birthday gifts to your little nephew or niece on birthday can become very tricky. The closer you are related to the child, the more different and extraordinary gift they expect from you. So this year, buy them a Kids Tent and its gonna be soo much fun for the child and you are gonna stand out of the crowd ! Buy Girl’s Tent as Birthday gift for a girl, or Buy a Kids Mahal Tent for a boy on his birthday ! Let them have all the Fun !! We make small play houses for our younger friends. 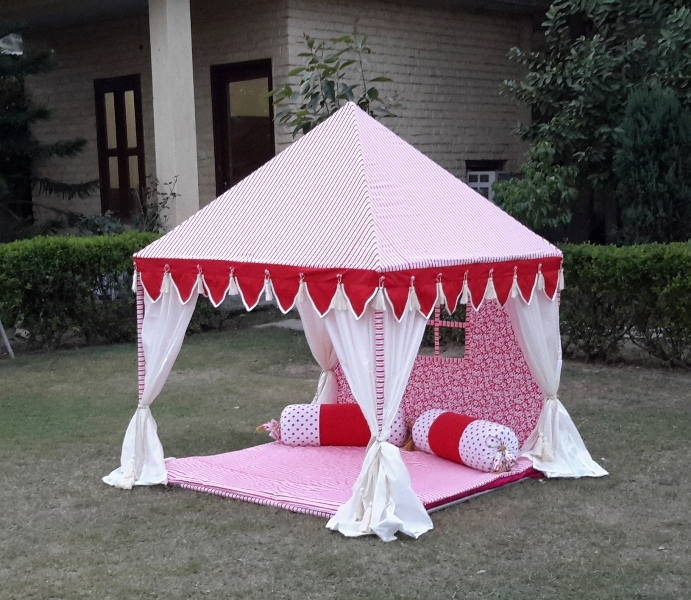 These tents are made from breathable cotton fabric in vibrant stripes, dots and children’s prints. These Kids Tents come with easy to erect folding metal frames. Our frames are very sturdy & very stable structures. Your child will love to erect the tent like building blocks. By looking at the pictorial erection manual included with the Kid’s Tent. Yes, Believe me, it is a Child’s Play !!! Our Premium range of Best Seller Kids Tent is the Hut Shape Tents. These have metal frames, that are very sturdy and easy to erect, your child will have his private play area within your living room or garden and play peacefully. 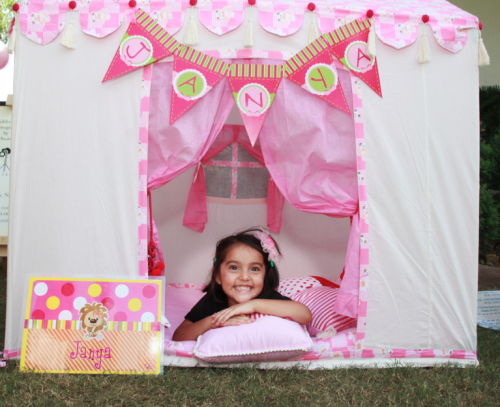 The next best seller is the Kids Mahal range of Tents. The Kids Mahal for boys comes in turquoise and green colors, while the Kids Mahal for girls comes in Pink, fuchsia, and red colors. 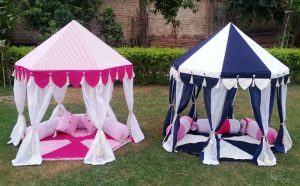 We have more variants of these tents, with us, you can also customize according to color of your kid’s room and theme. 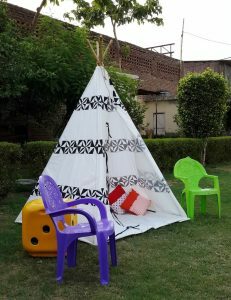 Our Kid’s Special range of tents includes the Kid’s Teepee Tents and Kid’s Viking Tents. The Tipi are pre-assembled Tents and you just need to place them on the floor and the child plays in it. The Viking can be easily assembled by looking into the erection manual that accompanies each tent. 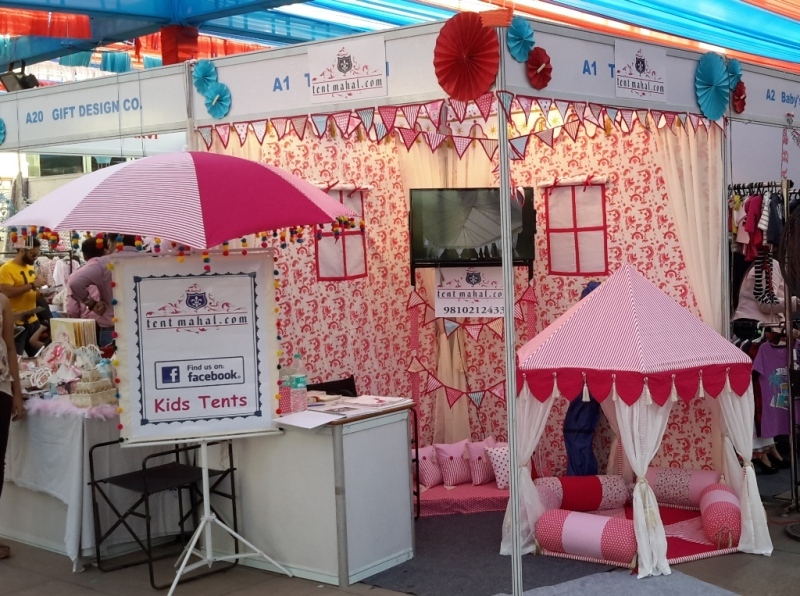 So, this season, gift your child the luxury to play in a professionally made Kid’s Tent. For more About Us, click here.